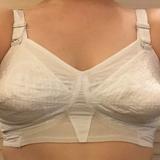 These bra's are amazing vintage bullet bras. 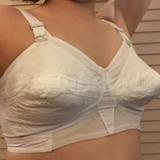 Could be used as modern day nursing bras. 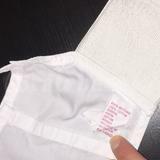 100% white cotton with rayon and rubber elastic. I bought a 5 pack and am keeping 1. They smell like chlorine bleach and have a "vintage" smell (mainly old elastic). 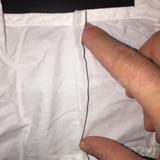 The side seams could easily be let out another inch to make the band more like a 32 instead of a 30 the way they are. And they could easily be made into a smaller band as well. 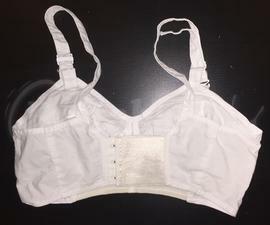 In the pic's I'm wearing one of the bra's I've added some paper towel stuffing into the tips of the cups to fill them out more, without a bra my over full bust is between a 36-37", because of month changes.  Would look better on a person with naturally larger/fuller breasts or cone shaped foam inserts.